It looks like that cluster of Studio Ghibli movies screening at Consolidated’s Kahala 8 complex — first noticed a few weeks ago while I was looking into Regal Cinema’s Studio Ghibli Fest — has, indeed, blossomed into A Thing. Last Monday, Consolidated Theatres promoted Facebook events for two movies — Ponyo and Whisper of the Heart — branded with a “Studio Ghibli Summer Festival” logo. Events have since been created for all the movies screening through June. It isn’t related to the Studio Ghibli Fest, and it still isn’t as comprehensive as Consolidated’s all-theater-encompassing Studio Ghibli Festival last year, but the 11 movies being shown are key pieces of Ghibli lore … with, of course, Spirited Away and My Neighbor Totoro included. We’re probably at the point where you’re either really tired of seeing these same movies over and over again or just can’t get enough of seeing them on the big screen. For those of you who lean toward the latter, welcome back. The English-subtitled versions of each movie will screen at 7 p.m. on the first day of their runs, followed by the English-dubbed versions at 2 p.m. on the second day. All of them are screening on Wednesdays and Thursdays, which makes it great for friendly neighborhood otaku bloggers who just happen to have those days off, perhaps not so much for people who have traditional weekday work shifts. Find out more and order tickets by visiting consolidatedtheatres.com/programs-and-events, clicking on a month and “Studio Ghibli Festival,” and proceeding from there. A few final notes on the Regal Ghibli festival: You have until Wednesday to order Regal’s $60 series pass; the link changed since the last time I wrote about it, so you can find it here. Also, Hilo finally has confirmed screening dates! Yay! It’s been an … interesting past few weeks since I last posted something here on the Otaku Ohana blog. The first half away was spent working on a profile of Hitbox Music Ensemble (here’s the link for you subscribers out there) in advance of Kawaii Kon. The second half has been spent a) taking time to recover the introvert life-hearts I drained socializing at Kawaii Kon (trust me, it takes a lot out of me), b) finally seeing Your Name with the Otaku Ohana Anonymous Director of Forced Social Interaction on Wednesday, and c) rigging up what I had intended to be a travel netbook computer as my primary computer after my former primary computer died a horrible, meltdown-y death … on the day before Kawaii Kon began. Fortunately, I’ve kept multiple backups of my archive of photos from events I’ve attended throughout my blogging career, so those are safe. But it’s probably going to be slow going for a while until I get things up to speed and pull enough pennies from my couch to get a new computer. I’m finally back, though! And I come bearing news that there’s going to be another Studio Ghibli film festival rolling through our fair state. Here, have a trailer. Granted, the lineup for the GKids Studio Ghibli Fest isn’t nearly as comprehensive as Consolidated’s screen-all-the-things Ghibli Film Festival last year, but it’s still a chance to catch six favorites from the studio’s vault on the big screen. My Neighbor Totoro leads off on June 25-26, followed by Kiki’s Delivery Service July 23-24, Castle in the Sky Aug. 27-28, Nausicaa of the Valley of the Wind Sept. 24-25, Spirited Away Oct. 29-30, and Howl’s Moving Castle Nov. 26-27. Those are all Sunday-Monday date combos; the English-dubbed versions will be screening locally at 12:55 p.m. on the Sundays, with the English-subtitled versions screening at 7 p.m. on the Mondays. Three Regal theaters will be hosting the festivities this time around: Dole Cannery Stadium 18 in Iwilei, Makalapua Stadium 10 in Kona, and the lusciously luxe Kapolei Commons 12, with its reclining plush seating, upscale food offerings and Eating House 1849, La Tour Cafe and Gyu-Kaku just outside. Yum. Tickets are $12.50 each, but if you really want to go all in and commit to seeing every movie, Regal’s offering a $60 series pass that comes with what they’re calling “an exclusive decommissioned Spirited Away 35mm film cell,” plus 6,000 bonus points for Regal Crown Club members. There is a shipping cost involved; the cheapest that I can see is $2.50 for USPS first-class shipping, which keeps the cost per ticket lower than buying each show individually. For more information or to buy individual tickets, visit gkidstickets.com/movies/. The inclusion of Ponyo thrills me, because now I can stick this picture into the post. Call it a tradition of sorts around here. For tickets, visit ow.ly/utmN30bh0hR. Open the “pre-sale tickets” column on the right for the full listing of movies. It’s been a weird past few weeks — the joy of spending Maui Comic Con driving around the Valley Isle with some good friends, the what-is-happening-to-our-country-ness of the general election, the devolution of my social media feeds from “must-read, and hey, here are a few news tidbits that are worth sharing in the blog, too” to GEEZ LOUISE ANOTHER POLITICAL OPINION POST I GET ENOUGH OF THIS READING THE WIRE SERVICE FEEDS AT WORK KILL IT WITH FIRE. There have been a number of things to talk about in the this blog, too. I just haven’t had the time/energy to get around to writing them up. Weird thing is, I’ve seen similar sentiments echoed by some Facebook friends over the past few days or so. Real Life has just been sucking our creative juices dry, and that’s just … unfortunate. But, well, time marches on and events keep happening. And sometimes you just have to grit your teeth, bear down and get stuff done, no matter how small a step it may be. So to get the ball rolling once again, here are some quick news tidbits. I know there’s been quite a bit going on with Con-athon 2017 developments; I’m working on another post that’ll address those (hopefully) somewhat sorta soonish. Eighty-two pictures from this event, and this was the only decent shot I could get of Deb. I feel like I failed somehow. Photo by Jason S. Yadao. Tidbit no. 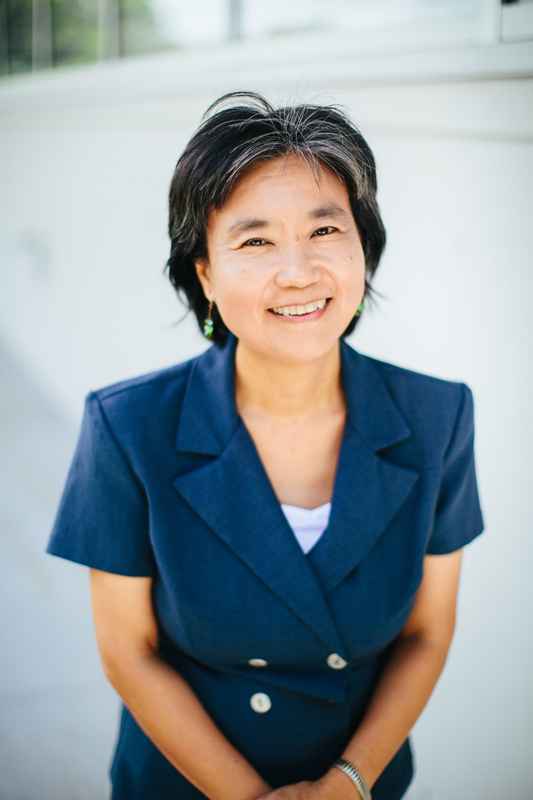 1: Remember that manga talk Deb Aoki gave at the Honolulu Museum of Art back on Oct.28? Here’s the complete video of that discussion, courtesy of Stephen Salel at the museum. If you ever wanted to know more about Deb’s career arc, this is definitely the place to do it. Tidbit no. 2: Spirited Away is returning to theaters nationwide on Sunday and Monday to mark its 15th anniversary, and it’s bringing a special treat for die-hard Studio Ghibli fans: the first-ever North American screenings of Ghiblies Episode 2, a 25-minute comedic short about what goes on at an animation studio that looks a lot like Studio Ghibli itself. Check it out locally at noon Sunday (dubbed) or 7 p.m. Monday (subtitled) at the Regal Dole Cannery theaters. Tickets are available on Fandango for $13.09 general, $10.47 children 11 and under. Tidbit no. 3: It’s the final (official) jam of the year for Comic Jam Hawaii, the group of collaborative cartoon artists, and they’re road-trippin’: They’re headed over to the Windward side and Kailua Public Library, 239 Kuulei Road, from 1 to 4 p.m. Saturday. Visit www.facebook.com/groups/ComicJamHawaii (Facebook login required). Tidbit no. 4: MiniQ, that outpost of anime goodie happiness in the middle of Aiea, is opening a second branch Friday, Dec. 9, at 95-1057 Ainamakua Drive in Mililani Mauka. There’s going to be food and giveaways at the grand opening, too! Seeing as how (a) this makes MiniQ many miles closer to Otaku Ohana Central out here in Mililani Town, (b) it’s right next to the Sugar Coated Hawaii bakery and (c) it’s just a short walk away from Starbucks, Taps ‘n’ Apps, Wing Stop and Dragon’s Lair, my wallet is already weeping. And last but certainly not least: Stan Sakai, who’s been chronicling the adventures of the rabbit ronin Usagi Yojimbo all these years, is coming back to Honolulu for a signing session from noon to 2 p.m. Saturday, Dec. 10, at Other Realms (1130 N. Nimitz Highway, in the back of the Nimitz Center) In honor of Stan’s appearance, the store is selling a special 11×17 Usagi print, limited to 200 copies, for $30 each. Here’s what it looks like. If you’re drooling right now, first of all, here’s a napkin, that’s kinda gross. And second of all, you can order one for yourself by calling 596-8236, stopping by the store or filling out the online form at www.other-realms.com/stan-sakai-2016.html You can even pick it up on the day of the signing or have it shipped. Remember all those times I’ve said in the past few years that [INSERT MONTH/YEAR HERE] is going to be the best month ever for theatrical anime being screened locally? First of all, congratulations, you have a very good memory. Second, you may now forget I ever said that before, because April 2016 is claiming that title of best month ever now and forever. The reason: Starting Saturday and running through May 5, for every day except Fridays (gotta make that new-release box office bank, after all! ), Consolidated’s theaters across Oahu and their Kaahumanu complex in Kahului will be home to the Studio Ghibli Festival, screening every major Studio Ghibli film ever made. That’s everything from 1984’s Nausicaa of the Valley of the Wind, Hayao Miyazaki’s pre-Ghibli feature that led to the creation of the studio, through 2014’s When Marnie Was There, plus the live-action Kingdom of Dreams and Madness documentary for good measure. That’s 22 good-to-great movies and Tales From Earthsea — which was kind of a disappointment for me — over roughly a month. … yeah, I’ll just leave this meme here. Most of the films will be screened two or three times each over the month, with English-dubbed and English-subtitled versions available. The more popular films — Howl’s Moving Castle, Kiki’s Delivery Service, My Neighbor Totoro and Spirited Away — will be shown four times each. But the real rarity in the group is Ocean Waves (Umi ga Kikoeru), the 1993 made-for-TV movie that is the only major Ghibli project never to see wide release in the U.S. now that GKids finally picked up Only Yesterday. The film’s rights belong to Disney, which kinda has bigger fish to promote, so we probably won’t be seeing that in wide release any time soon, either. Ocean Waves will be shown exactly once — mark your calendars for 7 p.m. Thursday, April 14, and set your GPSes for the Koolau 10 complex, across from the Valley of the Temples cemetery in Windward Oahu. Breaking down the numbers further, the big winner in terms of number of screenings is the Kapolei 16 complex, which will be showing 15 out of the 23 movies available, all of them subtitled. The Koolau, Mililani 14 and Pearlridge 16 theaters come in tied for second with 10 apiece, in both subbed and dubbed flavors at the first two and all subbed at Pearlridge. Here’s the full screening schedule organized by theater, with GhibliWiki links in case you’d like to learn more about each movie. (Trust me, if I had to write 23 synopses and attach 23 trailers like I usually do with these previews, this post would have been posted sometime in February 2022.) Prefer to see what’s on deck chronologically? Here’s Consolidated’s “coming soon” list. Tickets, at $10 each, are available now on Fandango (except for the April 30 Kahala screening of The Wind Rises for some weird reason). Sorry, no passes are being accepted. All films dubbed; screenings at 11 a.m. Saturdays. All films subbed; screenings at 7 p.m. Mondays, Tuesdays and Thursdays. All films dubbed; screenings at 11 a.m. Sundays. 11 a.m. Sunday screenings dubbed; 7 p.m. Thursday screenings subbed. 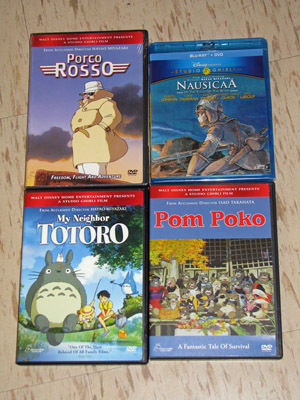 Porco Rosso: April 3, 11 a.m.
Nausicaa of the Valley of the Wind: April 7, 7 p.m.
Pom Poko: April 10, 11 a.m. Ocean Waves: April 14, 7 p.m. The Cat Returns: April 17, 11 a.m.
Princess Mononoke: April 21, 7 p.m.
Tales From Earthsea: April 24, 11 a.m.
Ponyo: April 28, 7 p.m. When Marnie Was There: May 1, 11 a.m. Tale of the Princess Kaguya: May 5, 7 p.m.
11 a.m. Saturday screenings dubbed; 7 p.m. Wednesday screenings subbed. Nausicaa of the Valley of the Wind: April 2, 11 a.m.
Castle in the Sky: April 6, 7 p.m.
Only Yesterday: April 9, 11 a.m. Whisper of the Heart: April 13, 7 p.m.
My Neighbors the Yamadas: April 16, 11 a.m.
Tales from Earthsea: April 20, 7 p.m.
Ponyo, April 23, 11 a.m.
Howl’s Moving Castle: April 27, 7 p.m.
From Up on Poppy Hill: April 30, 11 a.m.
Kingdom of Dreams and Madness: May 4, 7 p.m.
All films subbed; screenings at 7 p.m. Tuesdays and Wednesdays. All films subbed; screenings at 7 p.m. Mondays. 11 a.m. Saturday screenings dubbed; 7 p.m. Thursday screenings subbed. My Neighbor Totoro: April 2, 11 a.m., April 7, 7 p.m.
Kiki’s Delivery Service: April 9, 11 a.m., April 14, 7 p.m.
Princess Mononoke: April 16, 11 a.m., April 21, 7 p.m. Spirited Away: April 23, 11 a.m., April 28, 7 p.m.
Howl’s Moving Castle: April 30, 11 a.m., May 5, 7 p.m.
Aiea Library Polar Bear Cafe & Friends Anime Club: Every month, I joke with young adult librarian Diane Masaki that she ought to change the name of the Anime Club to the Polar Bear Cafe & Friends Club, seeing as how the screening schedule for the past few months has consistently been two episodes of the 2012-2013 anime followed by two more episodes of something else. (April’s “friends” are the ship-gals of KanColle.) The response this time around: Crisis! Diane’s approaching the end of the Polar Bear run! And there aren’t very many KanColle episodes left, either! What will the club screen next? And what will be the next running gag for this item?!? At the library, 99-374 Pohai Place, where, yes, there’s still plenty of parking. For more information or to RSVP, call 483-7333 or email aiealibraryanimeclub@yahoo.com. 3 p.m. Saturday. Sanrio Ala Moana Anniversary Party: Head out to Ala Moana Center and take pictures (or selfies, if you’re alone) with a giant Hello Kitty mascot character and also enjoy: Special product promotions! Free face painting and Hello Kitty hat with any purchase! And a special gift with any $75 purchase! 11 a.m.-4 p.m. Saturday. Comic Jam Hawaii: This group of collaborative cartoon artists meets every first and third Sunday of the month at Pearlridge Center; check their Facebook page for where in the mall they’ll be meeting. Visit www.facebook.com/groups/ComicJamHawaii (Facebook login required). Next meeting: 1 to 4 p.m. Sunday. Movies and myths and meanings, oh my! Throw me a good story rooted in Japanese mythology, and I will make every effort to try to watch or read it. It worked with Studio Ghibli favorites like Spirited Away, My Neighbor Totoro, Princess Mononoke, Pom Poko and The Tale of the Princess Kaguya, other series/movies like Mushi-shi, Summer Days With Coo and (GeGeGe no) Kitaro, and probably countless other series that I’d love to get around to eventually. Japanese mythology also happens to be at the core of a new book by Yoshiko Okuyama, an associate professor of Japanese studies at the University of Hawaii at Hilo. 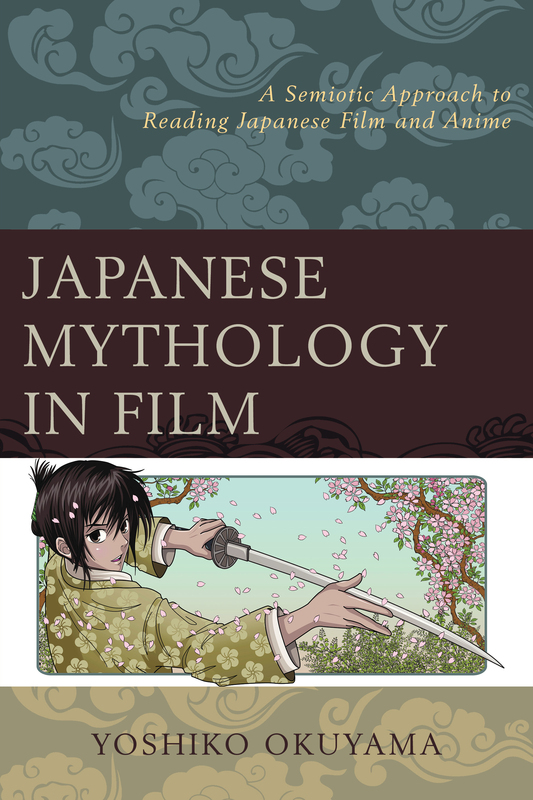 The book, Japanese Mythology in Film: A Semiotic Approach to Reading Japanese Film and Anime, takes a scholarly approach of analyzing films with such themes, including anime like Ghost in the Shell 2: Innocence and the aforementioned Spirited Away and Princess Mononoke, and the live-action Onmyoji, Onmyoji 2, Dororo, Mushi-shi and Departures. But before you click away to go watch, say, Himouto! Umaru-chan, scared off by the phrases “semiotic” and “scholarly approach” in the last sentence, I should note that the book’s written for pretty much anyone who knows anything about Japanese films and mythology. If that’s your thing, then you’ll probably want to check out this book. Here’s a link; you can get 30 percent off cover price by using the code “LEX30AUTH15” at checkout. Sept. 19: Hanapepe Public Library, 10-11 a.m.; Princeville Public Library, 3-4 p.m.
Sept. 21: Kauai Community College, Office of Continuing Education and Training (OCET), room 106 C/D, noon-1:30 p.m.; Lihue Public Library, conference room, 5-6 p.m.
Sept. 22: Kahului Public Library, 6-7 p.m.
Sept. 23: Wailuku Public Library, 1:30-2:30 p.m.
Sept. 24: UH-Maui College, noon-1 p.m.
Oct. 2: UH-Manoa Center for Japanese Studies Seminars, Moore Hall, room 319, 3-4 p.m. There are a few other tentative dates as well; I’ll add them to the Ota-cool Incoming calendar as I receive them. By the way, while I’m talking about Ms. Okuyama, let me throw in this quiet announcement and see if anyone notices: I recently accepted her invitation to speak for an hour at UH-Hilo about things related to the local anime/manga fan community. It’ll be on Tuesday, Sept. 15 — a few days after HawaiiCon wraps up, and on the last birthday of my 30s, to boot! Exact time and location have yet to be determined. It’ll either be fun or a total train wreck … hopefully more of the former than the latter. Fingers crossed! Author Jason S. YadaoPosted on August 18, 2015 Categories anime, Jason S. YadaoTags anime, ghibli, hayao miyazaki, japanese mythology in film, jason, princess mononoke, spirited away, uh-hilo, yoshiko okuyamaLeave a comment on Movies and myths and meanings, oh my! I know it’s become a tired cliche to say that an event that brings a bunch of wonderful things for a certain set of fans is like Christmas in [FILL IN MONTH HERE, AS LONG AS IT’S NOT DECEMBER, BECAUSE THEN IT WOULDN’T MAKE MUCH SENSE], but I’m going to say it here anyway: The Hawaii International Film Festival’s getting started in two days, and when it does, it’s going to be like Christmas in October for fans of anime and Japanese cinematic pop culture. And all you have to do, dear otaku, is buy your tickets from www.hiff.org or the HIFF box office near the Regal Dole Cannery Stadium 18 theaters, make your way over to that theater complex (save one case, which I’ll get to in a little bit), get whatever snacks you’re craving, and enjoy. That’s a potential Ghibli double-feature on Saturday, Sunday and Oct. 20. If you’re really feeling adventurous, though, you could turn Saturday into a Ghibli triple play, watching three movies for the price of two. You’ll have to leave Dole Cannery after Pom Poko to do so, but it’s certainly worth it: HIFF will be screening Spirited Away at Kakaako Makai Gateway Park for the low, low price of absolutely free. The “Pop-Up at the Park” gets underway at 5 p.m. with Eat the Street organizers Street Grindz rallying a bunch of food trucks to satisfy all your noshing needs, and the film unspools starting at 6 p.m. Cosplay is also encouraged, and there will be prizes for people decked out in the finest Ghibli-inspired gear. 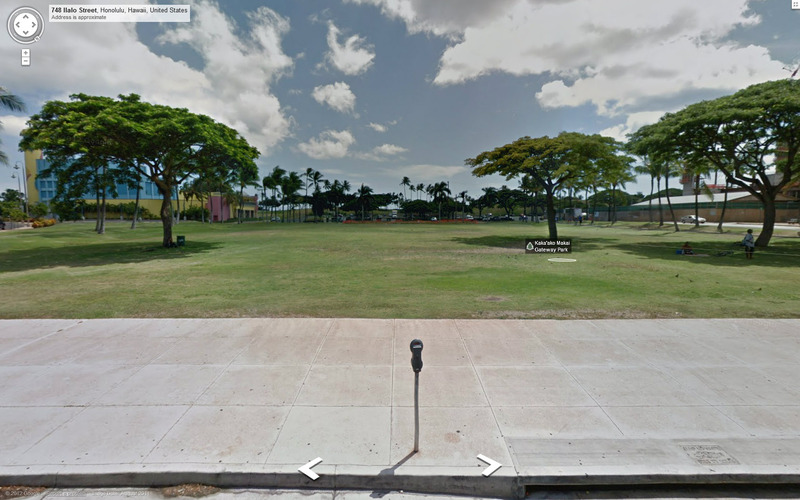 Here’s the new, actual location, as seen from Google Street View, looking makai from Ilalo Street. That’s the Hawaii Children’s Discovery Center to the left and Kakaako Waterfront Park waaaaaaay in back. The University of Hawaii John A. Burns School of Medicine, not pictured, is to the right. Pray for nice weather (or at least weather that’ll clear out this stifling vog we’ve had blanketing the island lately, ugh), and come on down. The Wolf Children Ame and Yuki: Director Mamoru Hosoda has been on a roll in recent years. I never did see, nor have I ever have any inkling of seeing, Digimon: The Movie in 2000, but his take on The Girl Who Leapt Through Time in 2006 was good, and Summer Wars, which screened at HIFF in 2010 … well, that was one of the best, if not the best, film I saw that year. His latest film follows Ame and his sister Yuki, two half-wolf, half-human children who lose their wolf-man father in an accident and subsequently move with their mom to a rural village. Now, both children are faced with the choice of whether to embrace the wolf or the human side of their heritage. Ame’s leaning one way; Yuki, in the other. And, of course, mom Hana has her own issues to deal with as well. 9 p.m. Oct. 17 and 12:30 p.m. Oct. 21. The Machine Girl: A normal high school girl with a normal family and a normal life has it all taken away by a ninja yakuza clan … so she straps on a machine gun to replace the arm that was neatly and oh-so-visceral-sprayingly was chopped off, as well as a drill bra and other assorted weapons of maximum carnage, to gain her revenge. Blood goes spraying, limbs go flying, sushi with fingers as a topping get consumed, and females get scantily clad. Robogeisha: “Geisha is … Japanese girl. Geisha is … beautiful. Geisha is … wild. Geisha is … robot.” Normal geisha with normal lives get transformed into cyborg assassins … so they use their mouth chainsaws and katanas and guns protruding from pretty much every natural orifice and tank-transforming abilities and battle it out. Blood goes spraying, limbs go flying, fried shrimp gets impaled in someone’s eyes, and females get scantily clad. And now we have the trailer for Dead Sushi, featuring the same creepy Engrish narrator from the Robogeisha trailer and starring delicious slabs of rice and seafood that have themselves turned carnivorous and seeking human flesh. And you guessed it: Blood goes spraying, sushi do something at the end that I can’t even describe lest this blog go from a PG rating to somewhere between R and NC-17, and females get scantily clad. Give it to Iguchi: The guy knows his niche. 9:15 p.m. Saturday and 9 p.m. Sunday. Thermae Romae: The first two-volumes-in-one omnibus collection of the manga by Mari Yamazaki is due from Yen Press next month, but local audiences will get a chance to see this film adaptation first. The film, like the manga, follows the adventures of Lucius, a harried architect in ancient Rome who finds his calling in life when he’s sucked through a drain doubling as a time portal, ends up in modern-day Japan, takes what he learns about bathhouse design, returns to his time and builds the most fabulous bathhouse in all the land. Yes, that premise would probably be the craziest were it not for Dead Sushi’s presence in this year’s film festival. But hey, if you wanted normal, go pick up Jiro Dreams of Sushi or something. 9 p.m. Saturday and 9:15 p.m. Monday. Eight Rangers: In a future world where Japan is teetering on the edge of ruin (if it’s not there already), the only thing standing between relative order and absolute chaos inflicted by a terrorist group is a ragtag bunch of ordinary citizens dressed in colorful costumes rallied by superhero Captain Silver. Sounds a bit cliched to me at face value, but you never know for sure what delightful twists and turns lie beneath the surface, so who knows? It could be worth a look. 3 p.m. Oct. 19 and 9:15 p.m. Oct. 20. Ultraman Saga: Speaking of costumed superheroes, this year marks the 45th anniversary of one of Japan’s most enduring heroes: Ultraman. To celebrate, here’s Ultraman — or to be more specific, the Ultraman Zero version of the hero — like you’ve never seen him before: battling alongside members of super-popular J-pop girl group AKB48. In a future world where Tokyo’s in ruins and multiple dimensions are in danger, the only thing standing between relative order and absolute chaos inflicted by an invading alien force is a ragtag alliance formed with the AKB48-staffed Earth Defense Force Team U, Ultraman Zero and a defense team pilot named Taiga. No sign of the Eight Rangers, though. 11:30 a.m. Saturday.